Venice is one of those cities that give you a bit of a shock when you arrive. It’s like one of those cities where you hear lots of about but never really lives up to expectations. It’s not to say it isn’t worth visiting though! Just don’t expect a whole lot of dazzling lights and people dancing everywhere. If you like live music, good wine, pasta, and boat rides, this is your town. The most surprising thing about the city though is that it feels quite dead at night. It has a lot to do with the fact that there aren’t very many lights lighting the streets. It can get really dark in some parts and even a bit frightening with the narrow walkways and path you need to travel down. Generally the rule is to not walk down dodgy looking alleyways but in Venice every street looks a bit dodgy. The graffiti that litters the main tourist areas don’t really help those who are a bit paranoid, but trust me it never ever felt that unsafe. There are quite a lot of police in most of the public areas all the way through the night. The city is most popular for it’s crazy party called Carnivale, that happens the week of Ash Wednesday or Fat Tuesday (Mardi Gras). It’s a week of people get absolutely smashed and wear masks. A bit like the Stampede in Calgary but with fewer cowboy hats and more masks and ball gowns. I went on my usual walking tour and the guide gave the group a whole history lesson on where the tradition originate from and even tossed in his own grievances of the event. It’s the typical complaint of any local who lives in a touristy city or town; hate crowds and crazy foreigners who come to their country to only leave it trashed. The overall tour though was top-notch. We ended up hitting a lot of great spots, passing by markets, holy monuments, and great food shops. The amount of cheese and deli meats I bought was insane. I probably spent at least €50 worth in one shop. There was this really cool wine shop that we stopped off at. Apparently, it’s really normal to find these type of shops. You can buy wine that comes out of a tap and you fill your own plastic bottles that come in 1 litre to 2 litre sizes. For an entire litre of wine, you won’t even break the bank. You’re looking at about €2.50 at most. Way cheaper than any restaurant for sure. I’d almost recommend, buying tons of cheese and deli meat and having a feast at your hotel or wherever you’re staying. I definitely recommend visiting the outer islands around Venice. Murano is definitely a stop you need to make. It’s where all the famous glass art is done. It’s a small island in the North. You can take the vaperetto public boat service to get there. If you’re near the train station or bus station, you can take the 4.1 or 4.2 to get there. The difference being which direction they go in. 4.2 goes clockwise around the island and the 4.1 goes counter-clockwise. If you’re on the north end of the island already, you can find the 13 and get there in about 9 minutes. You can find dozens of shops that sell glass sculptures and art. The prices range from €3 to €500+. If you’re here though I definitely recommend you find a store where they make small glass sculptures in-house. You can likely ask them to make you something custom. I don’t speak Italian, so I had Google Translate handy. If you have an Android or iOS phone you can always download the Italian dictionary before your trip, so that you can have translations on hand even without internet. 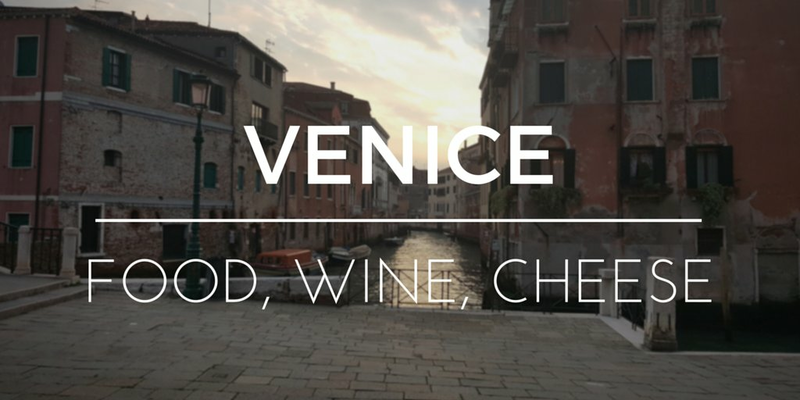 If you’re here for a few days, I’d say it’s too much time to spent in the Venice area. I did make a trip outside of Venice to a town called Bassano del Grappa and it was amazing! Though, I heard about Carnivale being a bit of crazy event, I did want to experience a bit of it. Luckily Bassano had their own version of Carnivale and it was pretty fun. Lots of live music and it was like Halloween. Lots of people were dressed up for the event. Bassano is actually quite famous for their wine. There’s a museum called Pino where they have the history of Bassano wine on display and of course offer selling some of their local wines which have very fancy looking bottles. The museum is free, so definitely take a look. There’s also this very famous wooden bridge called Ponte Vecchio. If you want a good view of the bridge though, I’d recommend walking on the bridge that’s just south of it; which is the road Viale Armando Diaz. It’s a must-see. On the wooden bridge you get one of the best views in Italy of the alps and the rest of the town. The view is absolutely breath taking. Being a small town though, you can do the whole thing quite quickly. I got to Bassano quite early so I had a small lunch and after checking out the town I stopped by this really nice cafe. I definitely recommend it. It’s a bit of a library like cafe with books and old texts everywhere. Granted it’s all Italian literature but there’s also a lot of art worth looking at. You can check it out here. You could come down a little after noon and head back to Venice by evening time. I was in Venice for three days and this was really my last stop. If I had more time I think I would’ve done a couple other town outside of Venice. Another place I was told to visit was Verona but I’ll save that for next time when I’m back in Italy.